For 2019 our event services will offer you a fun, complete vacation package. Our registration cap is 1,600 so be sure to save your spot soon! Look for our 32nd annual tour to be filled with camaraderie, historic sites, relaxation, and adventure. We’ve listened to your input and created something you’re sure to love. 3 days of riding with up to 200 miles on hand-selected bike routes that capture the beauty, history, and geography of Virginia. Most days include several different options. Routes vary in climbing and length. SIGNATURE Marked routes, using up to 200 signs per day. No cue sheets or GPS needed. Eye level, brightly colored direction signs are easy to see and follow. Up to 10 comfort station “rest stops” (every 20–25 miles) found in interesting places on the way. FAVORITE One premium stop each day. Support and gear (SAG) trucks offering assistance for emergencies during riding hours. On-course marshals to encourage safe riding. Guide book for ride details at your fingertips. GPS route files available for download. Mobile phone app with real-time alerts, event schedule, and route information. On-line safety briefing video that you watch before you arrive. 150–200 staff and volunteers to support you. Our rider-to-volunteer ratio is typically 8-to-1. We’ll take good care of you! 6 days of riding with over 400 miles on hand-selected bike routes that capture the beauty, history, and geography of Virginia. Most days include several different options. Routes vary in climbing and length. Up to 25 comfort station “rest stops” (every 20–25 miles) found in interesting places on the way. 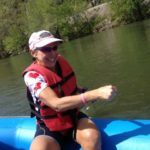 3 days of riding with over 200 miles on hand-selected bike routes that capture the beauty, history, and geography of Virginia. Most days include several different options. Routes vary in climbing and length. Up to 15 comfort station “rest stops” (every 20–25 miles) found in interesting places on the way. RETURNING Family-friendly activities such as family camping area, family yoga, kids’ course, family-friendly routes and more! FAVORITE “No-Sweat” Shower Truck providing convenient, clean, hot showers! Comfort station “rest stops” serving tasty treats, electrolyte drinks and fresh fruit. 3 Premium stops with special menu item. Daily and nightly activities will take place at Headquarters or nearby locations. Look for shopping, outdoor recreation, concerts, live music, movies, and other similar activities. 6 Premium stops with special menu item. OVER $250 in SAVINGS! Save $100+ on the 6-DAY TOUR or $50+ on the 3-DAY if you register in December! Save $100+ on the 6-DAY TOUR over both 3-DAY packages combined! *** Children (Ages 11 and under) ride FREE when registered on the form of a parent or guardian. Limit one (1) child per adult registration. See Registration Policies below for more information. WOW 2019 marks 32 years of touring Virginia with amazing bike enthusiasts just like you! Bike Virginia has seen almost all of the state in our long history of exploring Virginia by rural back roads. We know you will find this area of the Shenandoah Valley beautiful and historical, and completely unique to Virginia. We focus on great riding, relaxing, entertainment, exploration, fun and just the right services to keep you happy and comfortable. Come for a day, three days (weekend or weekday), or the whole 6-day adventure! Most of what you loved from the revolutionary 2018 tour returns for 2019, including the rider favorite Food Truck Fiesta! and our Double Vision format that gives you access to your car the entire time! Read more about the great riding on our Routes Page, and all the fun we have in store. With a staff of just five, we rely on hundreds of volunteers to make the tour run smoothly. Read about our available positions in this blog post and how you can help make this year’s event a success! Registration opens on December 1st, 2018! You’ll be sure to appreciate how streamlined and simplified the registration process is again this year. We looked over everything with a magnifying glass to make it the best it could be, along with everything else you’ve come to expect from Bike Virginia. If you can only join us for a single day, don’t worry — we still have you covered! Walk-In registrations will also be offered onsite during the event. NOTE: Children under the age of 12 will be registered on the same form as their parent/guardian — no extra paperwork! Teenagers (ages 12–18) will submit their own registration form, same as adults. Be sure to read our policies on youth/children under REGISTRATION POLICIES for important information regarding our younger participants. If you would like to attend and gain access to all of the services, food, entertainment, and amenities, but DO NOT plan to ride, you may register as a NON-RIDER for a substantial discount. Enter one of the following access codes in the “Promo Code” field on the registration form and click the “Apply” button. The registration form will now display the appropriate NON-RIDER registration fee. Confirmations will be sent via email. NOTE: At the bottom of the registration form is a checkbox that allows US to send YOU critical information about your registration. Please ensure that box is checked… DO NOT UNCHECK THAT BOX! 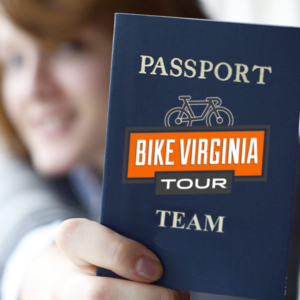 All of the information you need to get ready for the Bike Virginia Tour is on our website. You’ll find directions to registration, the lists of hotels, reservations for special activities, what to bring, training tips and more. Visit often for updates! Cancellation requests will not be honored for any reason, including medical, after March 1, 2019. There will be NO exceptions. If you must cancel after March 1st, you may transfer your registration to another rider. The new rider will incur a transfer fee ($10*/DAY). Requests must be received in writing (email to Samer Meshreki). WE STRONGLY RECOMMEND that you protect your travel investment with an inexpensive Trip Insurance Policy. You can purchase insurance from any travel agent or online. For a small investment you can have peace of mind. In some instances a trip that is cancelled can qualify for insurance reimbursement. Registrations can be transferred from one rider to another. For instructions on how to transfer your registration, please contact Samer Meshreki. The new rider will incur a transfer fee of $10*/day. The Bike Virginia Tour can be a fun family event. Please read closely the information below on our policies and suggestions. Everyone under the age of 18 must be accompanied by a parent or guardian and have the consent of a parent or guardian to participate in Bike Virginia. All youth under the age of 16 must be under the supervision of an adult at all times. All children under the age of 12 must ride on a tandem, trailer bike or in a trailer. Children under the age of 12 cannot ride a single bike. The bike tour can be strenuous on young children even when riding in a cart or on an adult’s bike. 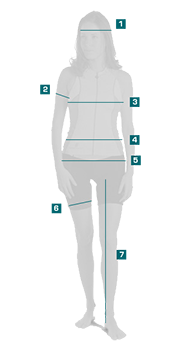 High temperatures, sun exposure and long periods on the bike can be difficult and even dangerous for children. Please consider carefully your child’s limitations and what is best for your family’s health and enjoyment. SAG (support vans) do not carry child safety seats and may not be able to accommodate children. It is best to provide your own SAG support for young children on the tour. Registration includes 1 lunch token AND $10 voucher towards purchase at BVA store. NOTE We regret to announce that we are unable to offer a team PASSPORT discount this year. Bike Virginia is a 501(c)(3) non-profit organization that relies exclusively on donations and event registrations to fund our advocacy efforts. If you make a 100% tax deductible donation at one of two levels, we are pleased to offer these highly sought after event perks to make your experience even more enjoyable. You can bring your recreational vehicle (RV) to Bike Virginia! Registration is required. RV Parking Pass sold separately. FAVORITE our Double Vision format gives you more riding options and NO ONE-WAY routes! Be sure to read about all the exciting changes that come with the Double Vision format. 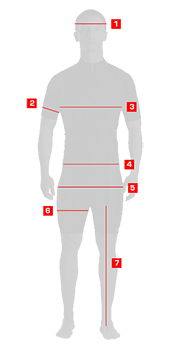 The supplier for our Official Tour Jersey is Hincapie, the cut is the AXIS CLUB SHORT SLEEVE JERSEY. NOTE the manufacturer made minor changes to sizing in 2018… “new fabric, fit adjustment, and we fixed the neck and sleeves“. 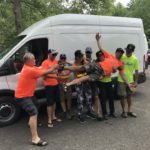 WOW 2018 marks 31 years of touring Virginia with amazing bike enthusiasts just like you! Bike Virginia has seen almost all of the state in our long history of exploring Virginia by rural back roads. We know you will find this area of the Shenandoah Valley beautiful and historical, and completely unique to Virginia. Most of what you loved from the revolutionary 2017 tour returns for 2018, including the rider favorite Food Truck Fiesta! and our Double Vision format that gives you access to your car the entire time! Registration opens on December 1st, 2017! You’ll be sure to appreciate how streamlined and simplified the registration process is again this year. We looked over everything with a magnifying glass to make it the best it could be, along with everything else you’ve come to expect from Bike Virginia. If you can only join us for a single day, don’t worry — we still have you covered! Walk-In registrations will also be offered on-site during the event. NOTE: Children under the age of 12 will be registered on the same form as their parent/guardian — no extra paperwork! Teenagers (ages 12–18) will submit their own registration form, same as adults. NOTE: At the bottom of the registration form is a checkbox that allows US to send YOU critical information about your registration. DO NOT UNCHECK THAT BOX! Cancellation requests made in writing (email) to Samer Meshreki, on or before March 31, 2018, will be refunded minus a processing fee per registration. See table below. Cancellation requests will not be honored for any reason, including medical, after March 31, 2018. There will be NO exceptions. If you must cancel, you may substitute another rider by transferring your registration. We highly recommend that you protect your purchase with an inexpensive Travel Protection Plan. For a small investment you can have peace of mind. In some instances a trip that is cancelled can qualify for insurance reimbursement. You can purchase insurance on your own or from any travel agent. Includes 1 lunch token (see our Lunch Token FAQ) AND $10 voucher towards purchase at BVA store. NEW PASSPORTs now come in team sizes of 4, 8, and 16 ! The larger the team, the more you save! The team PASSPORT is a great way to obtain a significant discount over our individual 6-DAY registration prices! And if you order one before December 31st, that comes out to less than $75 per person per day! However, we only have a limited quantity of passports available for purchase… first come, first served. So get your team PASSPORT before they’re all gone! RETURNING our Double Vision format gives you more riding options and NO ONE-WAY routes! Be sure to read about all the exciting changes that come with the Double Vision format.